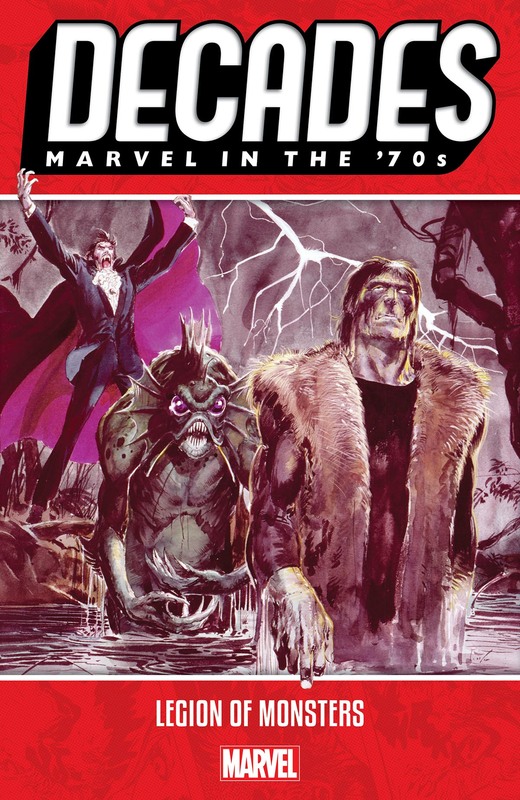 Collects Legion Of Monsters (1975) #1, Marvel Preview #8, Marvel Premiere #28; Marvel Spotlight (1971) #2 And #5, Tomb Of Dracula (1972) #1 And Frankenstein (1973) #1. 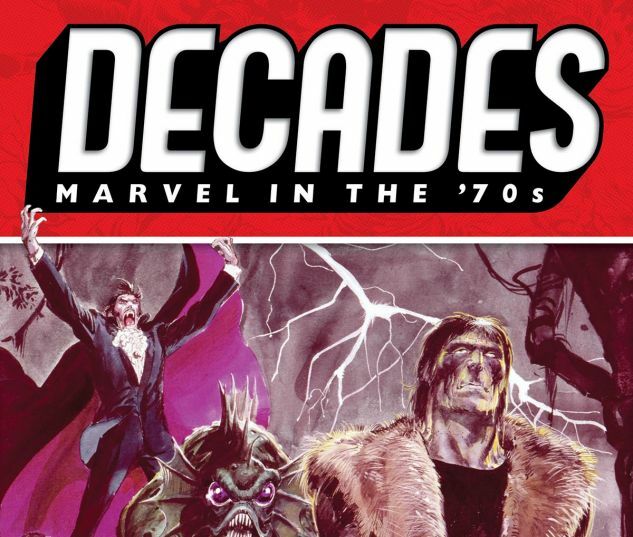 Celebrate 80 years of Marvel Comics, decade by decade — together with the groovy ghoulies of the Supernatural Seventies! It was an era of black-and-white magazines filled with macabre monsters, and unsettling new titles starring horror-themed “heroes”! Now, thrill to Marvel’s greatest horror icons: The melancholy muck monster known as the Man-Thing — whosoever knows fear burns at his touch! Morbius, the Living Vampire! Jack Russell, cursed to be a Werewolf by Night! And the flame-skulled spirit of vengeance, the Ghost Rider! But what happens when they are forced together to become…the Legion of Monsters? 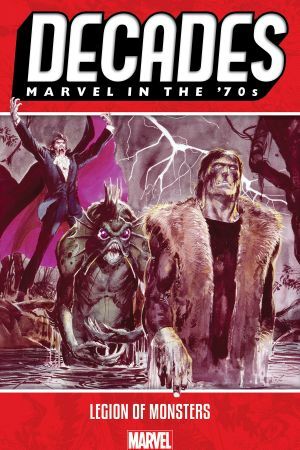 Plus: Stories starring Dracula, Frankenstein’s monster, Manphibian, the vampire-hunter Blade…and never-before-reprinted tales of terror!